Roll the cheese sticks in the salami. Assemble everything like you would win a bento box. Kids like this because it is finger food! This version can go a long way, you can decide to wrap melon into prosciutto to change. Or make Mozzarella and prosciutto kebabs. 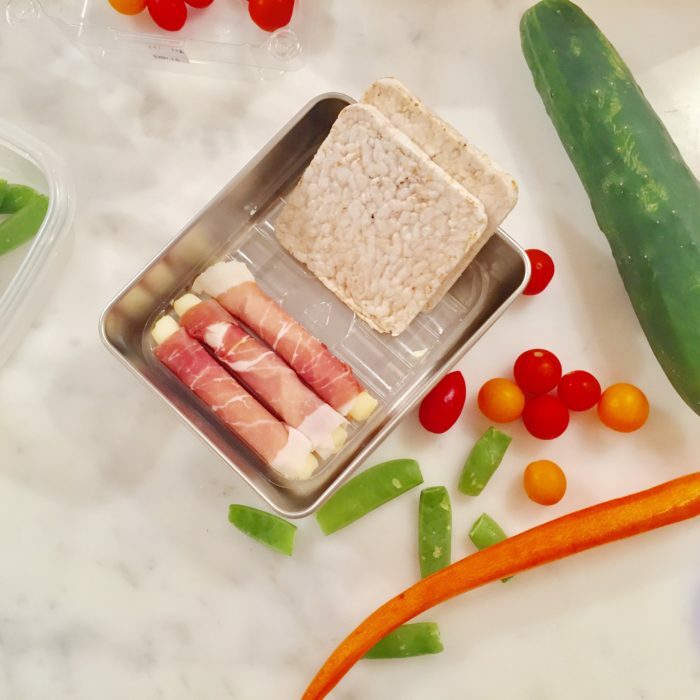 Wrap the cheese into ham, or turkey…. I like having options, this is a great one for that!